Preserve your memories with a FLIP BOOK. Dressed up with our playful props you are the star!! After being videotaped in motion your video is transformed within minutes to become the ultimate flip movie. Up to 3 people at a time can draw and stencil on our 55″ screen! Your photo becomes your canvas! Prints 4×6 photos. 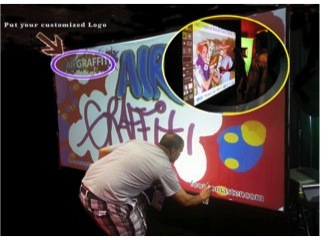 Graffiti Wall is a unique and exciting product that allows the interactive creation of virtual graffiti on a digital wall – a designated rear projection screen, using a laptop, projector and infrared spray cans. 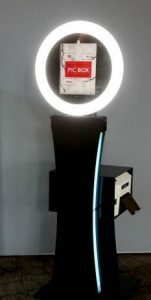 As you press the infrared spray can, it emits an infrared light beam, which is tracked by the computer. 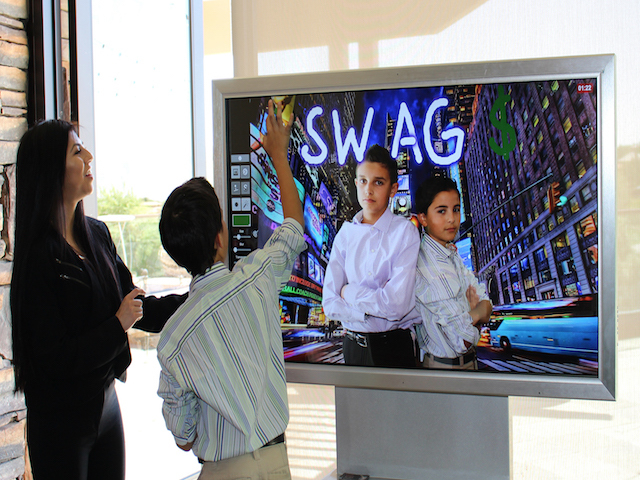 Then Graffiti software converts the beam into a virtual image that appears on the projector screen known as Digital Graffiti Wall, creating a vibrant and colorful drawing. 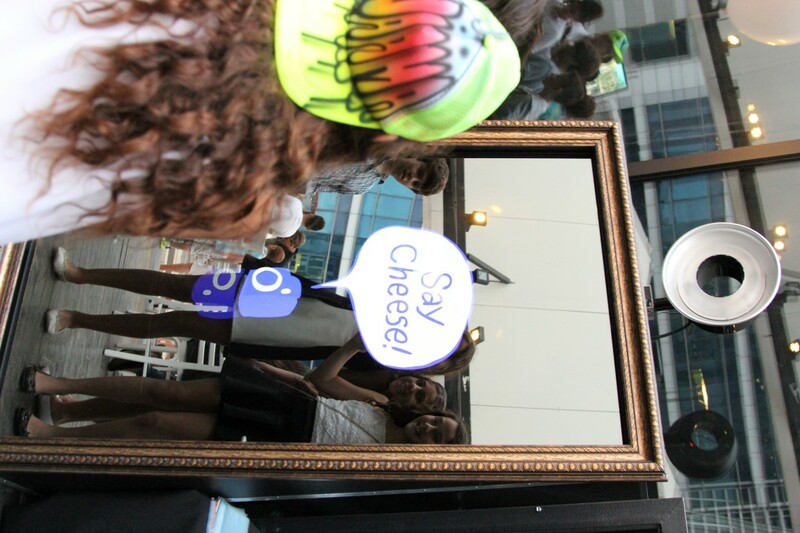 This “Open Air” Photo Booth is great for group pictures. It has a touch screen and optional video capabilities. Prints two sets of 4-photo strips in BW or color. 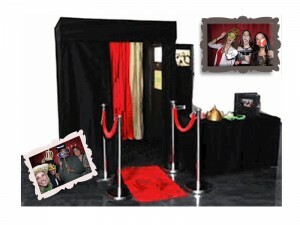 Your guests will walk in front of a magical mirror when extraordinary colorful animation appear on the mirror that invite them to touch and start their magical photo favor journey. As your guests are taking their picture, the mirror kindly gives the guests compliments and leads them through the fun animations, such as a screaming contest. 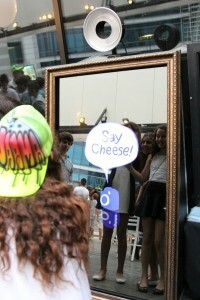 At the end of the photo journey, your guest will be able to sign on the mirror. 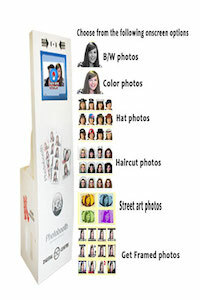 Boardwalk Photo booth combines nostalgia with today’s digital technology to create color or black and white photos. You also have the option for frames, crazy hats, street art on or new hair styles! 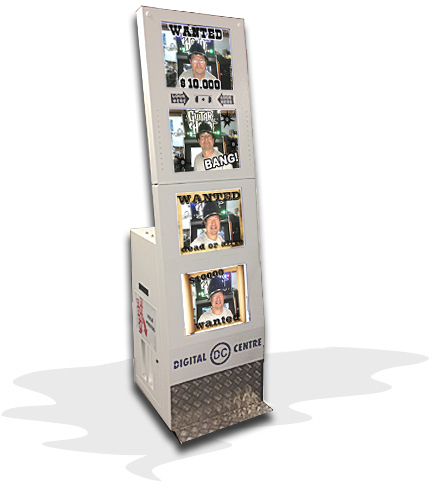 Produces two sets of classic 4-photo strips.We can customize the last picture of the strip with your event name or company logo. Can do approx. 40 sets of pictures per hour. 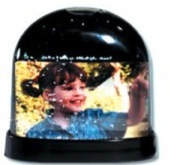 Have your guests bring home memories from your next event in the form of a bobble head. A picture of your face is put in the face of the bobble head. 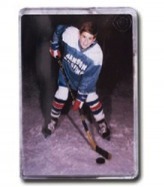 Choose from almost any sport plus a fireman, policeman, ballerina, hip hop boy or girl, soldier, prom couple or graduate. Say Cheese! Have your guests bring home memories from your next event in the form of fun photo frames. A 3″x 3″ picture of you is put into these 6″x 8″ frames. 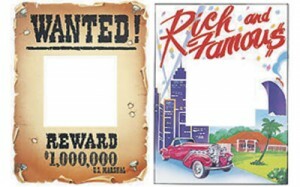 Choose from dozens of different themes including “Wanted”, “Rich and Famous” or “Best Friends”. You are the star! Using green screen digital photography we can take your picture and put in on a magazine cover, a movie poster or one of our many fun backgrounds. Have your guests bring home memories from your next event in the form of keychains. 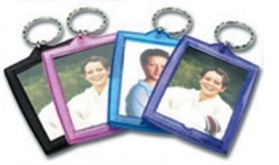 Choose from clear or colored translucent key chains which hold 2″x 3″ pictures. We also have view finder key chains which are always a big hit. Say Cheese! 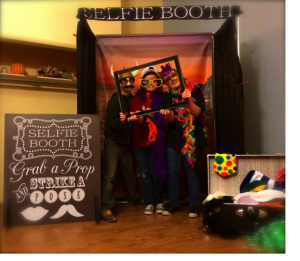 Have your guests bring home memories from your next event in the form of fun photo clear or translucent sparkle magnets or clear buttons that fit a 2″ x 3″ picture. Get all the perks of a photo booth with out the high cost. Step inside the booth made up of piping, black drapes, valance, your choice of 1 of 4 backdrops, and fun props, then have your friend, parent, sibling, significant other snap a picture with their/your smart phone and/or digital camera.